Anyone who knows me would know how much I love watches. Downside about it is that, sometimes, I really love a particular design, but feel that it’s not worth to buy it because of the mechanics/how it’s made and the whole package. ANOTHER reason why, it’s too common. You’re bound to bump into a friend or even a stranger with the same watch. Well, I don’t mind if it’s a good watch, that means someone knows the quality and have the same liking as me. Nothing wrong with that. But what if, you had a ONE-OF-A-KIND watch? Everybody loves limited edition – a unique, one in a million kind. I stumbled upon instagram on a brand called EONIQ – a start up fashion brand started by three friends in Hong Kong led by Quinn Lai. I knew immediately, this was the perfect gift. It was pretty easy to work on. 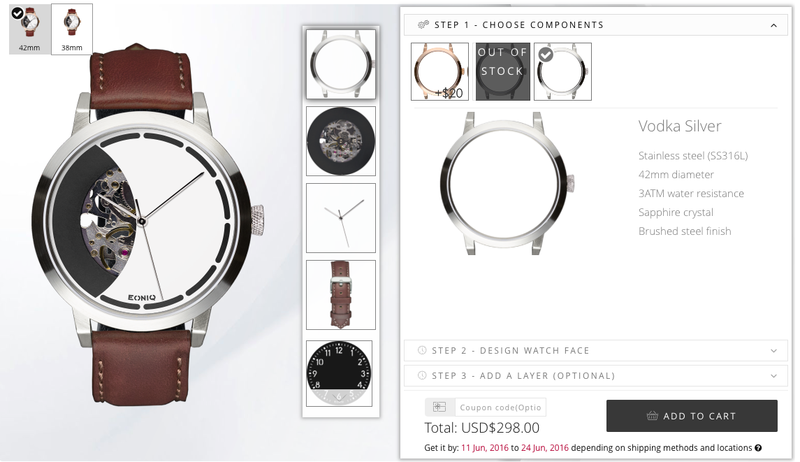 You can create your watch on your laptop/desktop, tablet or even your mobile phone. 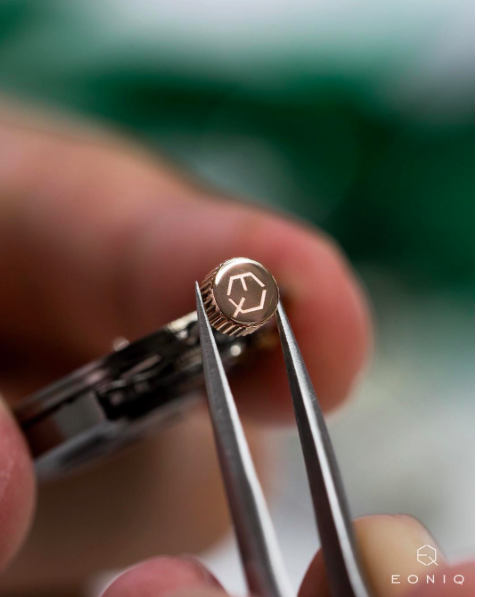 BUT of course if you want to upload a file for engraving, best to do it on laptop/desktop. When I first saw this, I was a little skeptical tbh. I know everyone would. I contemplated, searched and looked up at them for a really long time. And decided what could go bad? Everything’s clean and pretty good on social media. Few reasons why I went ahead with it. 1. It’s a custom-made watch. Meaning it’s limited edition/one in a million (okay, not even one in a million, it’s ONE in the world) kind of watch. Anyone who has the same watch/design, would be a copycat. 2. With that, it’s a very strong personal statement and a very meaningful gift that people who value it would really appreciate it. 3. It’s a mechanical watch – the Miyota 8 series movement which is the legendary 21 jewel powering some of the most robust watches including the drive and pilot watches. Mechanical watches right now are highly overpriced with a good quality/brand and would at least cost RM2.5k for a good one. 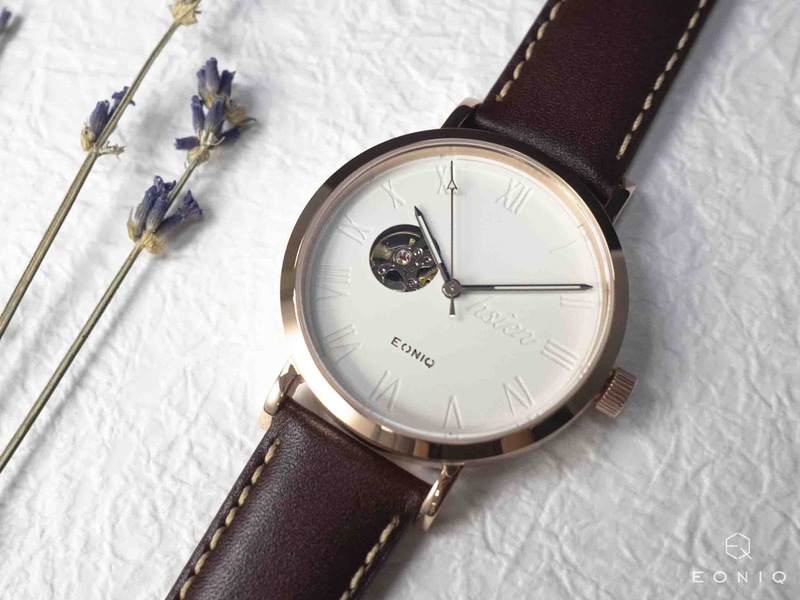 Asides that, the all-time-famous Daniel Wellington where 8/10 would own have owned one, doesn’t allow you to customise it, AND, it’s an analog quartz watch. Which retails now roughly at RM800. When DW came into the whole Social Media sphere, I was excited. I loved the clean, sleek minimal yet classy design. But I was in a hunt for something sentimental, something more personal, and EONIQ came to me. Not literally to me, but their ads on Instagram appeared on my feed. – Creating the watch was easy, steps were given and everything was in a single page. – The difficult part was the finalise and select the final design to check-out with because EVERYTHING LOOKS SO GOOD! When it finally arrived, I couldn’t be any happier. I was really satisfied with the finishing, how it turned out to me, the rose gold rims and the brown leather strap.